When someone asked me to contribute an article on my life to an author’s blog, I panicked. What should I write? I’m a listener. I listen to other people’s problems and stories. I’m a good listener. But I don’t enjoy speaking about myself. But now I’m a writer, and I must move into the spotlight. I’ve done a few interviews on fellow authors’ blogs. Their questions served as guidelines. Now I have a blank page in front of me. Should I delve into why I became a writer? People have done this. Instead, I’ll write who inspired me. The person who I loved and admired most and then lost too soon: my brother, Neil Leist. Neil lit up a room when he entered it. He was six feet two inches, but it wasn’t his height that drew others’ eyes. It was his dynamic personality and his intelligence. Those gray eyes mirrored his capacity for greatness. He acted as my father when my father wasn’t home but worked days and nights as a taxi driver. Only eleven years older than me, Neil took care of my blind mother and helped raise me. He shouldered heavy burdens early in his life. My brother did well in college but flourished in the business world. He traded on the Commodity Exchange until he earned enough money to take over a Fortune 500 company. With a majority share in its stock, he became the CEO of American Bakeries. Neil brought me with him on his rise to stardom. I worked for him on the Exchange and at his offices on Madison Ave. I majored in Finance at New York University, prepared to join him. My parents were proud of him. Life was perfect until the phone call in the middle of the night. The light in my life dimmed as I fell into darkness as dark as my mother’s. My brother had been in a car accident in the Hamptons. His red Porsche hydroplaned on the wet road. Neil was a good driver with quick reflexes. He drove the car off the road and onto the grass. Luck wasn’t with him that night. Someone had parked a truck in the grass, and the Porsche crashed beneath it. Neil lingered in a coma for two years before he died. Meanwhile, his so-called friends at American Bakeries undermined his position at the company by causing the stock price to plummet. We sold his investment in the company in one big chunk and at a significant loss. We made the company’s executives pay for what they did. I spent eight long years dealing with finance people and lawyers. After this experience, I lost my taste for high Finance. I received an M.B.A. in Finance. But I couldn’t return to the markets. Instead, I turned to the one passion in life I had never explored: my love for reading and writing stories. And THE DEAD GAME was born. I used poetry to promote my book. Now I’m hooked on poetry. My stories and poetry are dark and twisted. 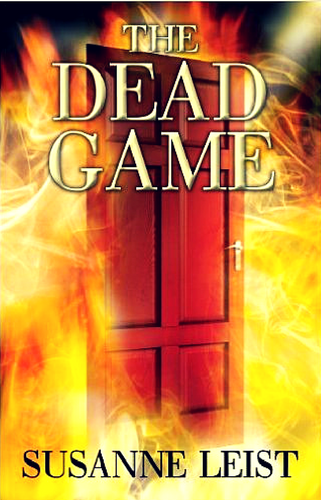 This year I released the second book in THE DEAD GAME Series, PREY FOR THE DEAD. It is just as twisted and intense as the first book. My life has taken unexpected twists and turns. I wasn‘t happy with Finance, even in the beginning. I did it as a challenge. I wanted to do well in a male-dominated field. And now I have a new mission. I want to prove to myself I could become a good author. And I believe I’m well on my way. This picture was taken when Neil met with Mayor Koch concerning the opening of additional American Bakeries’ factories in New York.